A glitter shaker card this time. 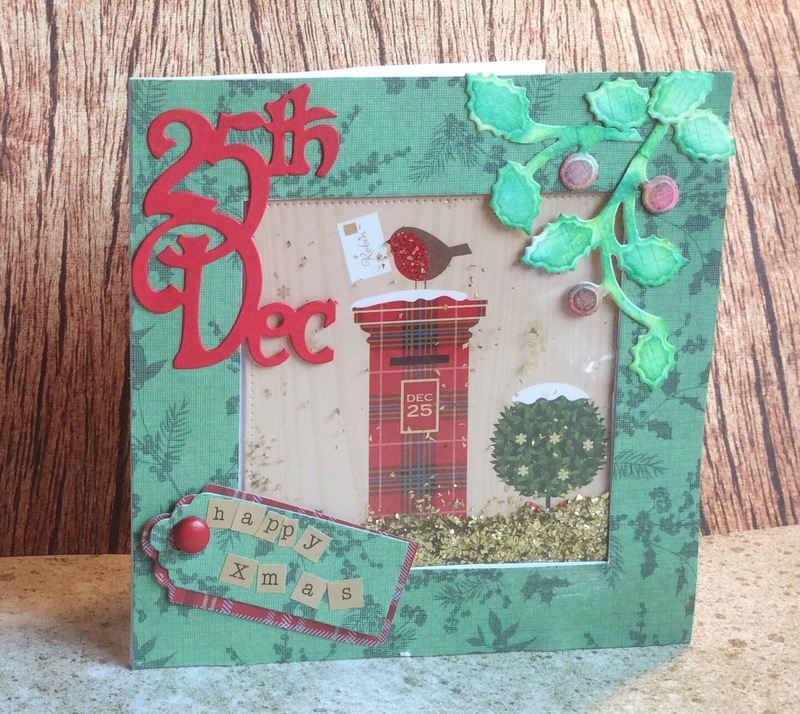 I like the traditional Christmas colours in this card. 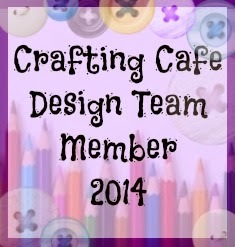 Since the photo was taken, I have added little red gems onto the berry section of the vine die cut. They make it sparkle nicely! 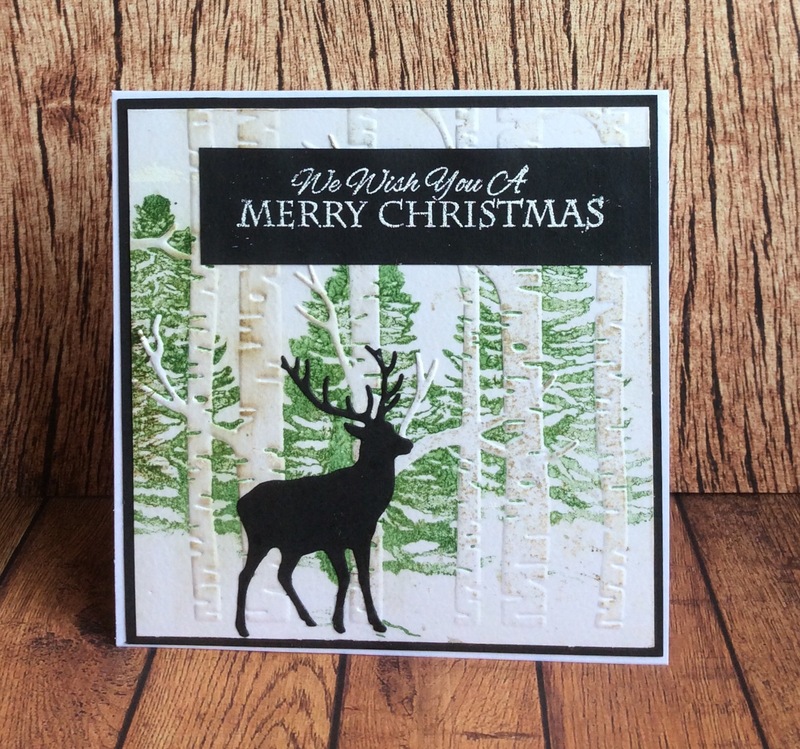 And yet another Woodland scene card! Maybe I should put them all in one post! 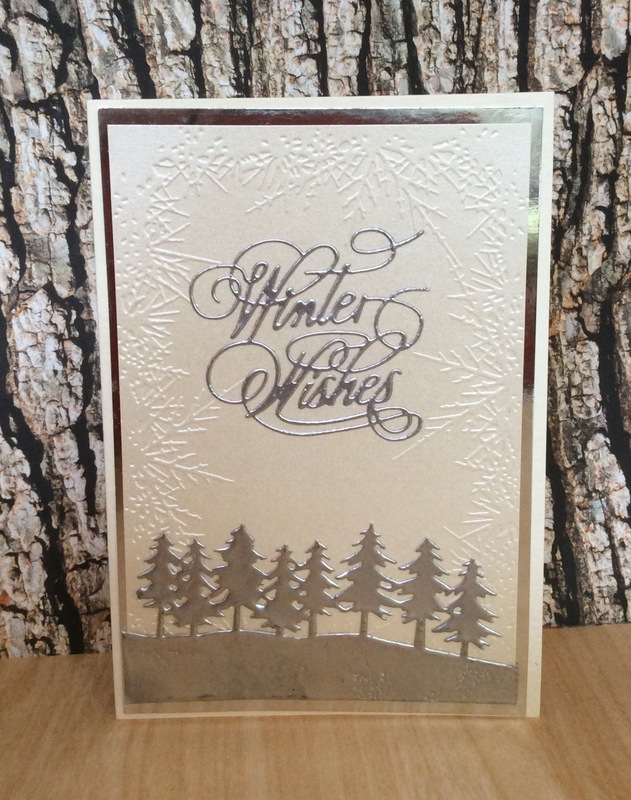 I am loving my new Stampin Up Woodland embossing folder. Here I’ve inked the folder before embossing the paper, to give the look of woodland behind the bare trees in the foreground. 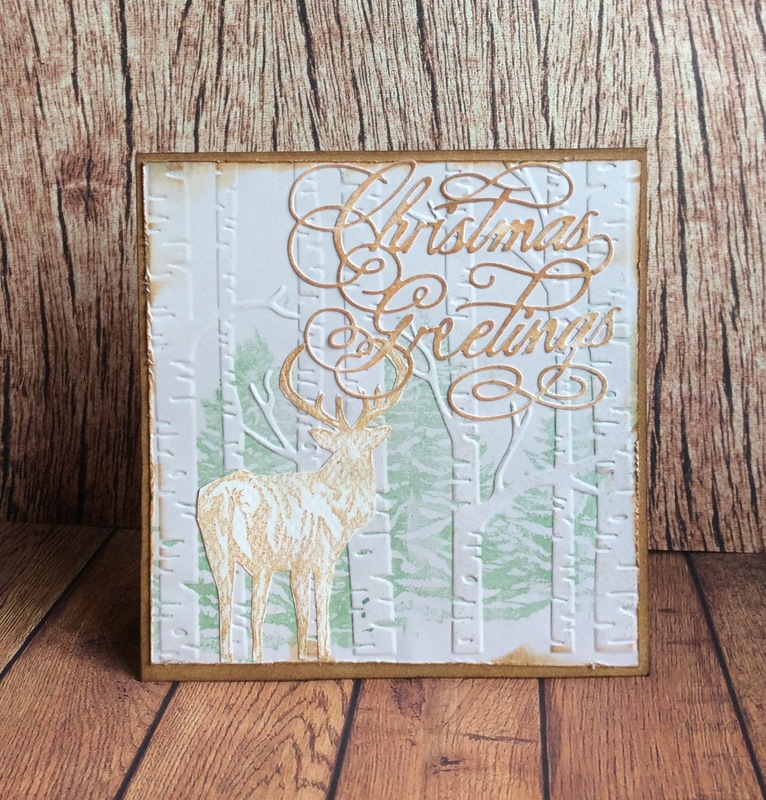 Added a deer from stash and heat embossed the message which is a Sheena Douglas stamp. Hope you like it! I found a line of trees die cut in my stash, and an idea started to form, and these cards are the result! 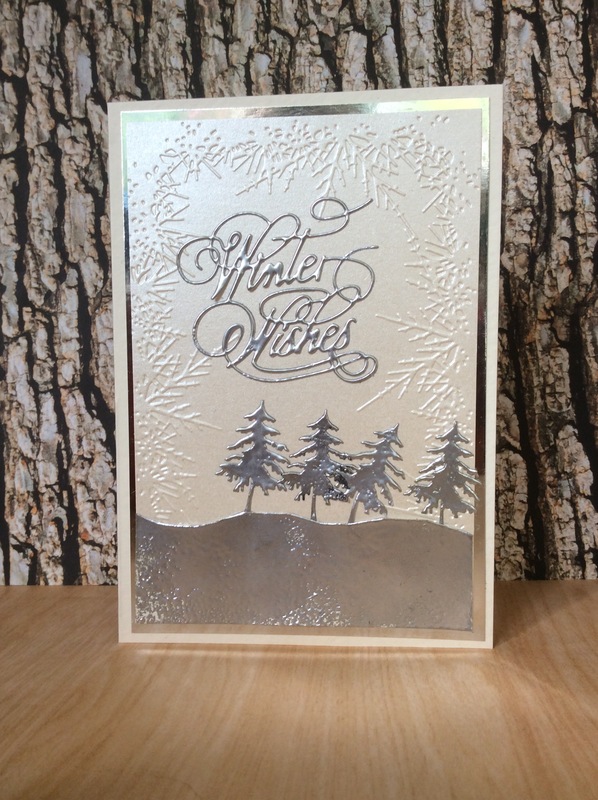 I used shiny cream card and embossed it, then silver heat embossed the trees and the word, and layered with silver Mirri card into hammered cream card. Hope you like them!